The growth of Canada’s soon-to-be-legal recreational pot industry is starting to create a small buzz among job hunters. 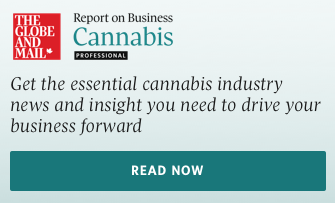 Employers, the data found, have also been looking for more help within the expanding cannabis industry — from retail “budtenders,” to production assistants, to quality assurance. New help-wanted ads in the sector were up three-fold last month, compared to a year ago, and now make up 25 out of every 10,000 new jobs on the website. “Cannabis-related searches and job postings remain a small corner of the Canadian labour market, but they’re growing rapidly,” Indeed economist Brendon Bernard wrote in the report. Job seekers’ searches for cannabis-related work spiked at the start of 2018, which coincided with media headlines about surging stock prices of several Canadian marijuana firms, the report said. More than half the country’s pot-related want ads were for jobs in Ontario, which the report notes is also home to the headquarters of major players in the industry. “With aggressive hiring plans, Canadian cannabis companies are posting openings across a wide range of job types,” Bernard wrote. With recreational weed’s move towards legalization, even the terminology used by job searchers has experienced an evolution, the report said. “Last summer, about as many Canadian job seekers on Indeed looked up the word marijuana as cannabis,” it said.